The school are very fortunate to have a very active parents fundraising arm. 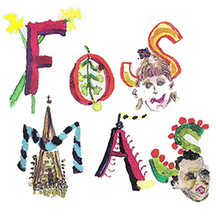 FOSMAS was formed in the spring of 1987 and all Parents, Staff and Governors of the school are automatically members. ​FOSMAS supports the school primarily through fund-raising and organising social events such as an annual summer fair, a Christmas fair and a Fun Run in May. In order to achieve this, FOSMAS relys entirely on the voluntary efforts of its members, so additional help is always welcome. ​Every class is represented by at least two parents (Class Reps) who are the link between the Class teacher, the parent and FOSMAS. Please try to come to the meetings held at school each new term to meet other parents and find out about the term's events.